One of the most popular production by Pappa TARAHUMARA is coming back! Is this Chekhov? Is this “Three Sisters”?? Exquisitely depicting “Three Sisters” with outstanding human bodies and unusual direction by Koike Hiroshi. 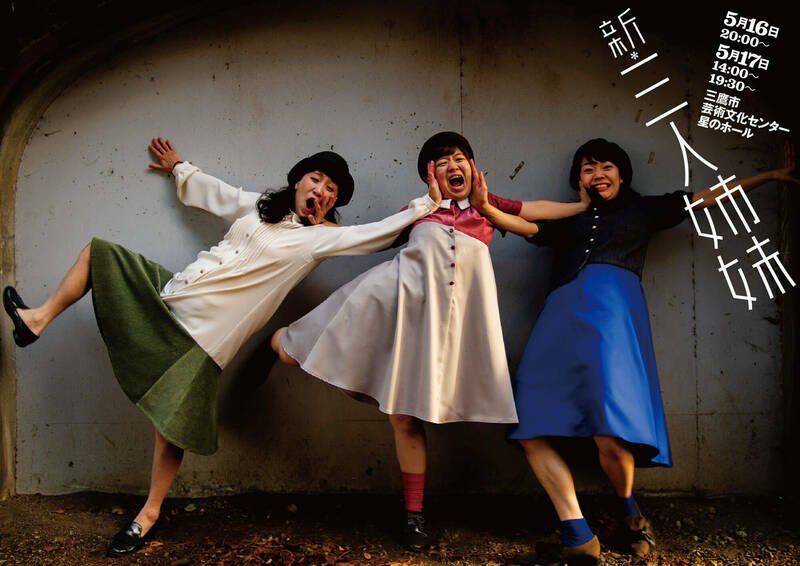 With new performers and new directions, Pappa TARAHUMARA’s “Three Sisters,” which has been repeatedly performed over 200 times in Japan and abroad, reborn as “NEW Three Sisters”!! You will see three tough, stupid and lovable women who try to survive between dreams and reality. What do the three sisters in Today’s Japanese society aim for? With dance and songs, this stage is full of dynamic expressions! Check this out!! ※ If you buy tickets through QUARTET ONLINE or BASE, please note that bank transfer in advance as the only payment method we accept, and please understand that the shipping fee JPY150 is not included. We are looking for internship volunteers who can help with our work related to NEW THREE SISTERS and other projects by Hiroshi Koike Bridge Project. Volunteer work will include public relations, web designing, advertising, ticketing, works in theater etc. For more information, please feel free to contact SAI Inc. by phone or email. ◎ Check our official SNS for tickets and other information!